Lace up your shoes — it’s time to register for the 2020 Walt Disney Marathon Weekend. 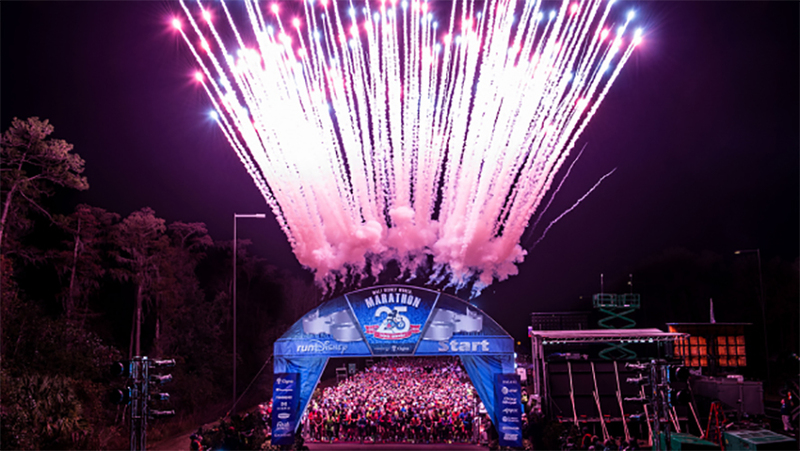 Early access to registration has opened to Passholders, DVC Members, and Golden Oak Members for select races during the 2020 Walt Disney Marathon Weekend. Passholders, DVC Members, and Golden Oak Members need visit their member websites to access early registration. General registration opens for the 2020 Marathon weekend on April 16, 2019. Visit rundisney.com for more information on the races, weekend, and registration. If you can’t make it to Disney in person to participate in a runDisney event try their virtual events. Learn about this year’s Virtual series and see the completer medals for the series here! Did you ever wonder what happens to all those banana peels during a runDisney event? We have the answer here! Will you be running in any upcoming runDisney events? Let us know in the comments below! How exactly does a pass holder register? I don’t see anything on “mydisney”. Any pointers?